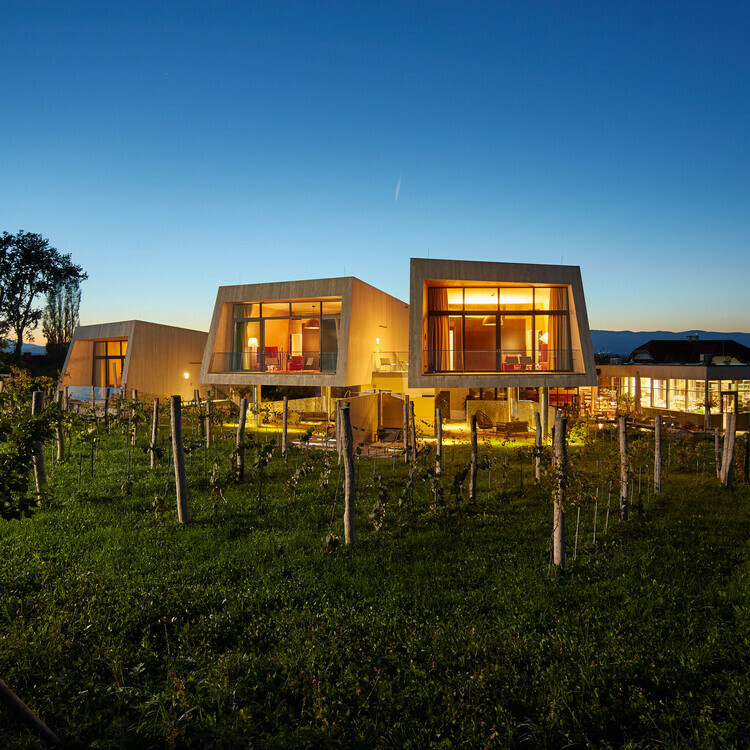 The DIE WASNERIN wellness hotel in Bad Aussee seeks to achieve relaxation through all the senses. 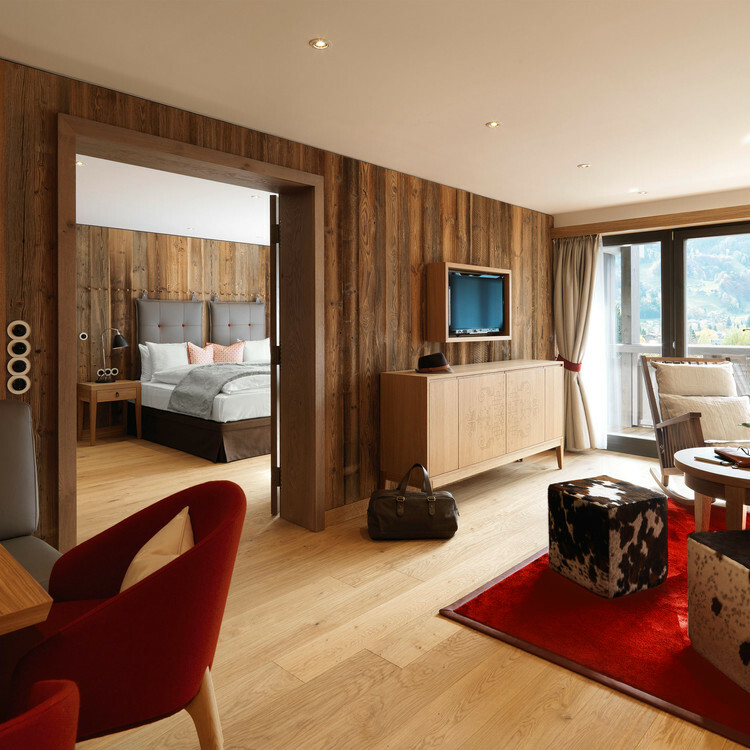 The smell of our hay veneer allows the guests to feel close to nature, even when they are inside the hotel. 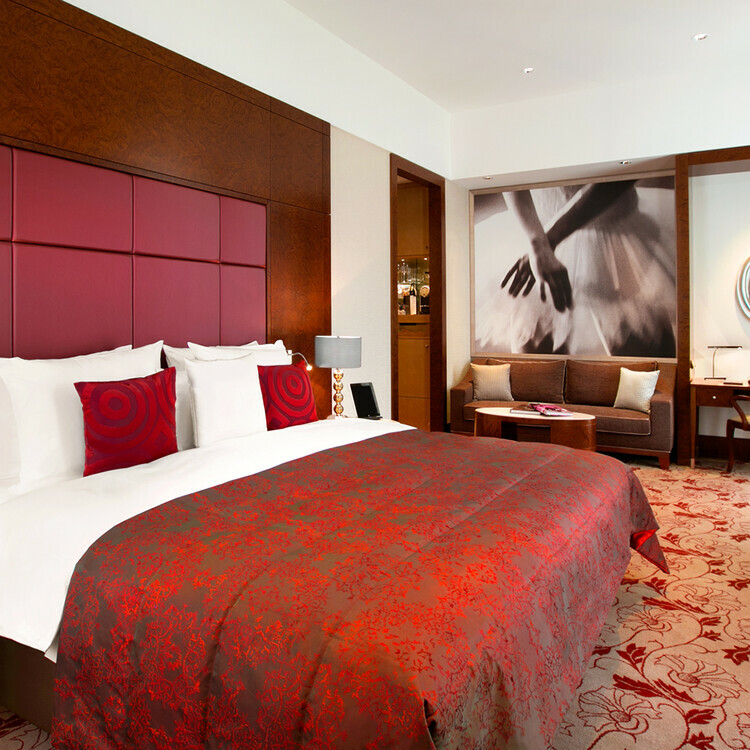 The hotel's furnishings with a hay veneer finish, which can be found in various locations such as the bar, the wellness area and the rooms, give off a natural scent which permeates throughout all areas of the hotel. A feast for the senses! 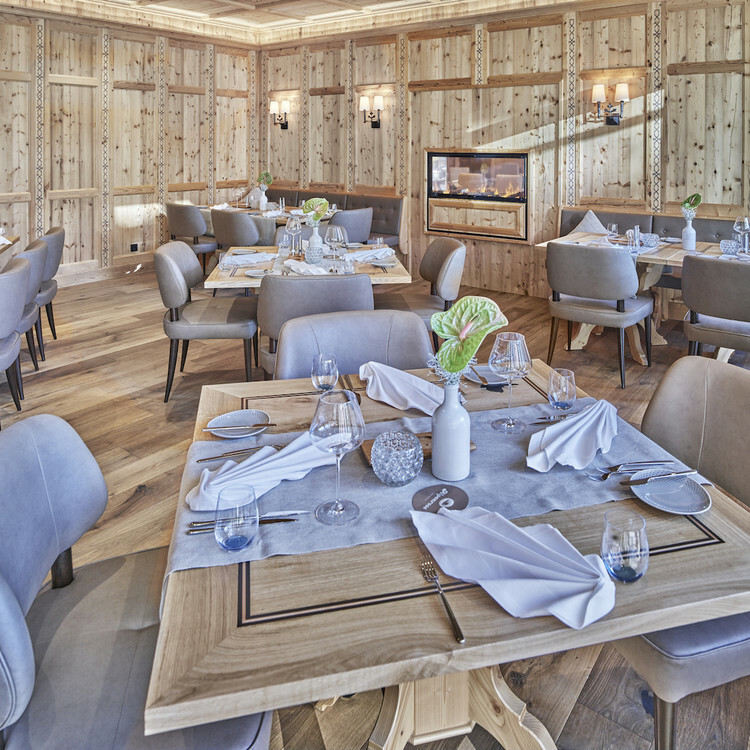 This project was completed using over 800m² of old sun-scorched spruce wall panelling, 300m² of old sun-scorched spruce slats and 160m² of 3s old sun-scorched spruce boards. It also involved the use of approx. 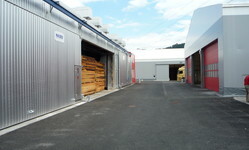 500m² of oak veneer with a thickness of 0.9mm. 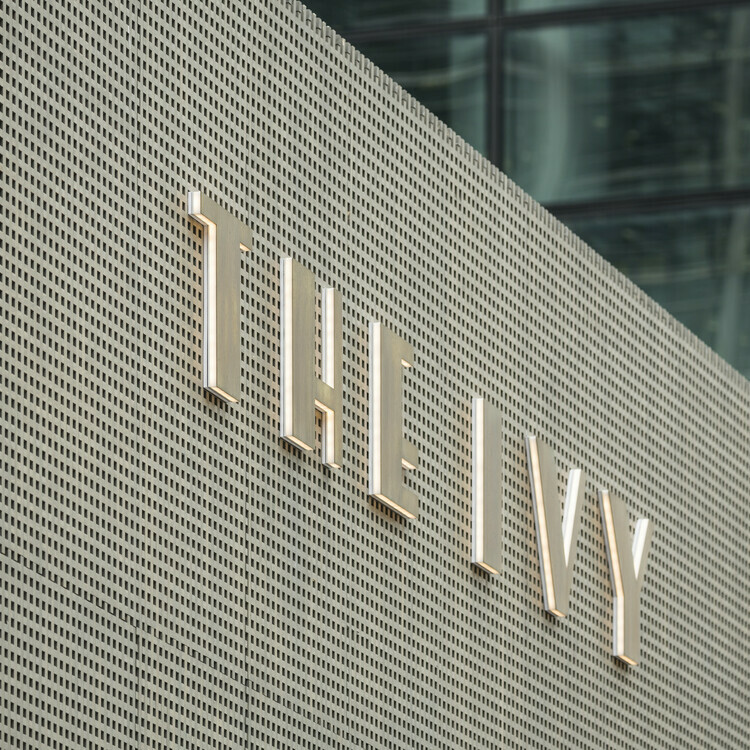 The Ivy Collection, a group of select restaurants, recently opened its latest restaurant - The Ivy in the Park - in Canada Square Park in London. 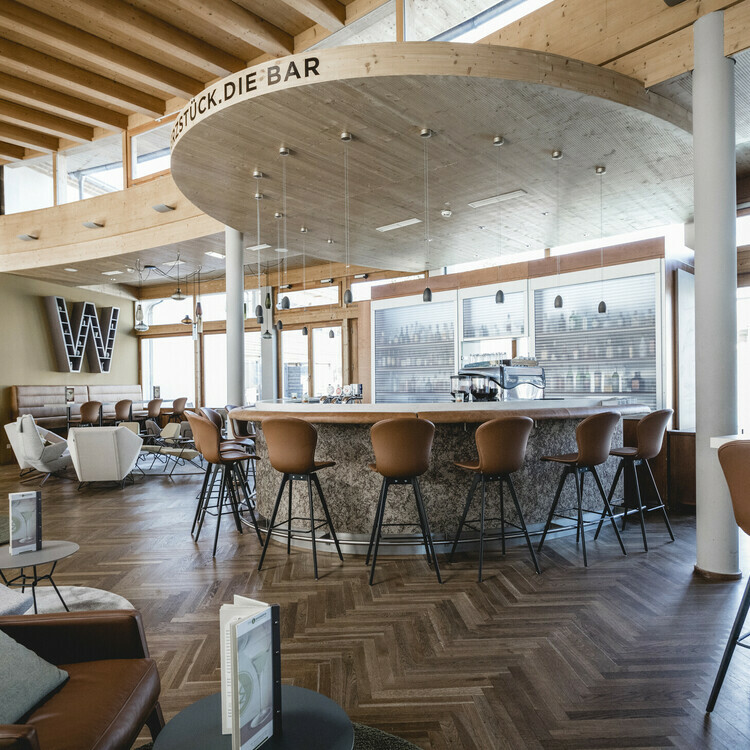 The restaurant's creative interior design expertly combines high quality with sustainability through its use of Accoya wood - the world's leading long life sustainable wood - inside the new building. Using approx. 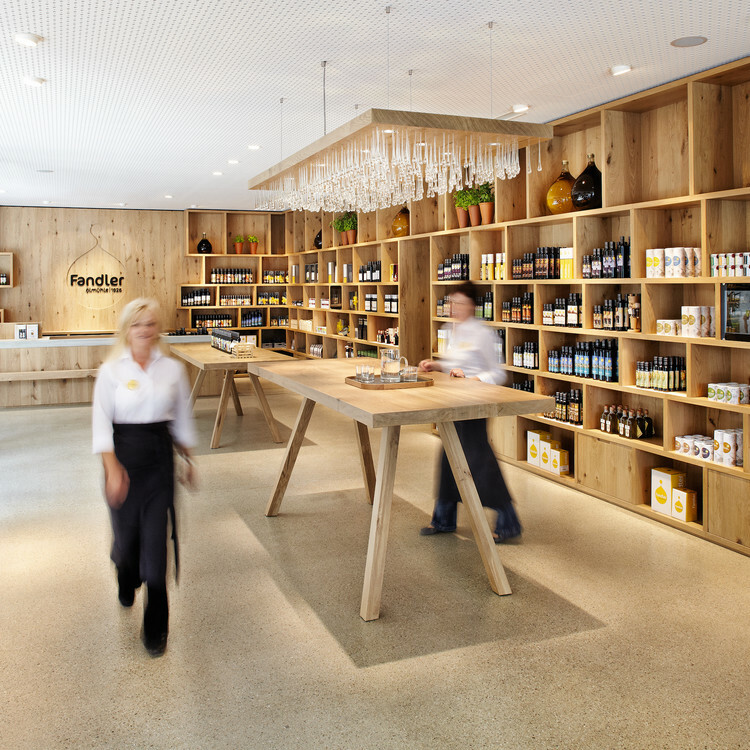 32m³ of 38mm thick Accoya, the designers created approx. 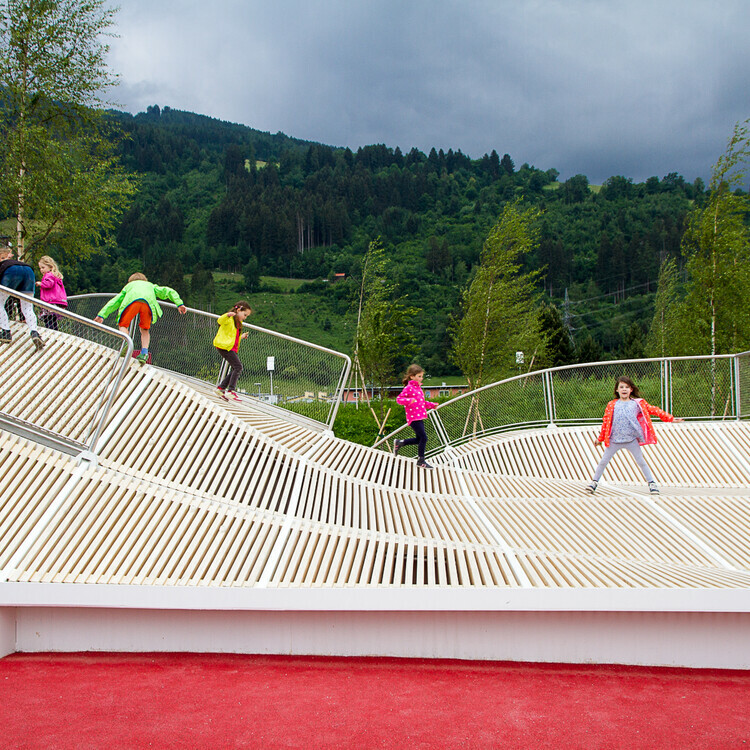 100 laminated beams and created the trellis-shaped façade screens using another 35m³ of 33mm thick Accoya. Everyone enjoys a feast for the eyes! 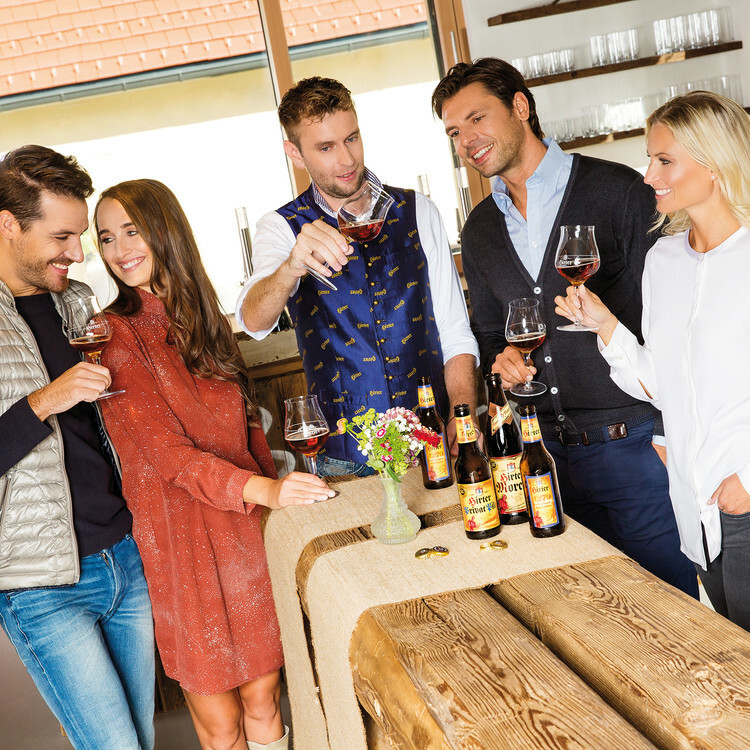 This proverbial truth is embodied and confirmed in the Antique Rooms of 5* Wellnessresidenz Alpenrose on Lake Achen thanks to the beautiful blend of style and atmosphere. This magnificent project came into being through the use of unique laser-cut inlays, amazingly intricate wall panelling and a coffered ceiling in the Cocoon by Alpenrose . 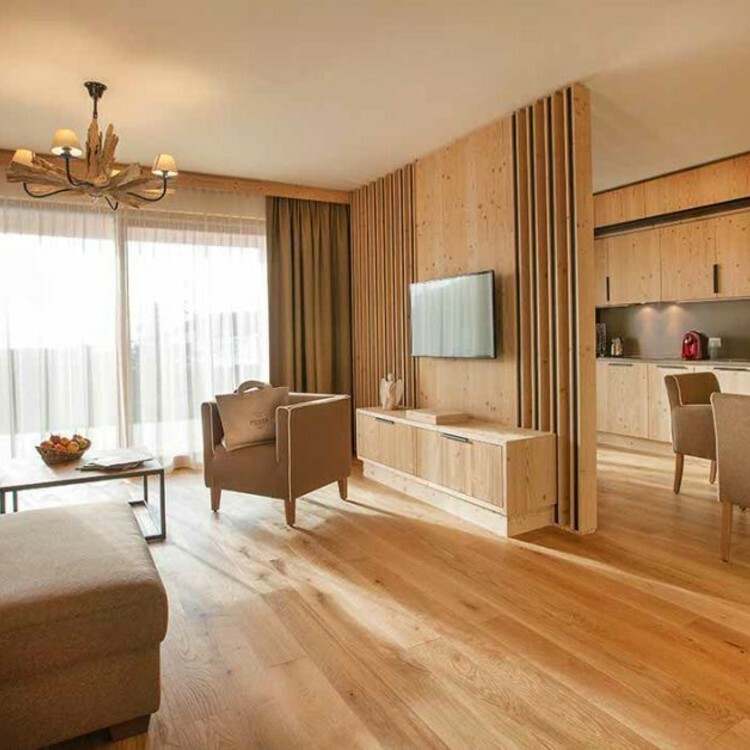 Featuring lavish amounts of Swiss pine and old wood, both as veneers and panels, the striking results are certainly worth seeing. 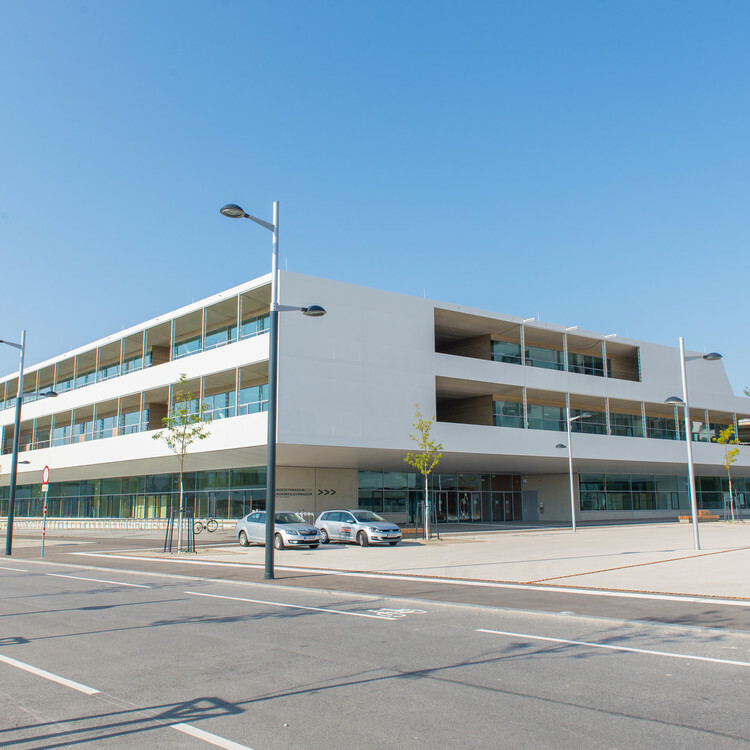 The conversion of our office building was completed using our own high-quality products. 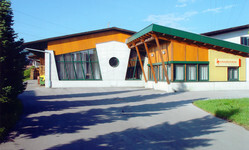 These products included Medite Tricoya as well as the use of Accoya for the windows, façade and patio. 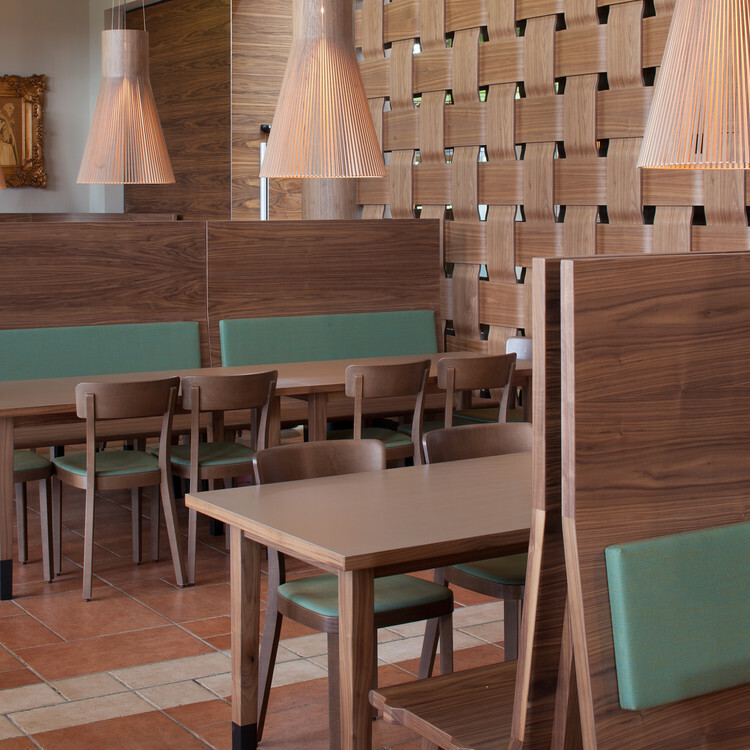 By way of a pilot, the project also made use of teak veneer Tricoya wall panels. 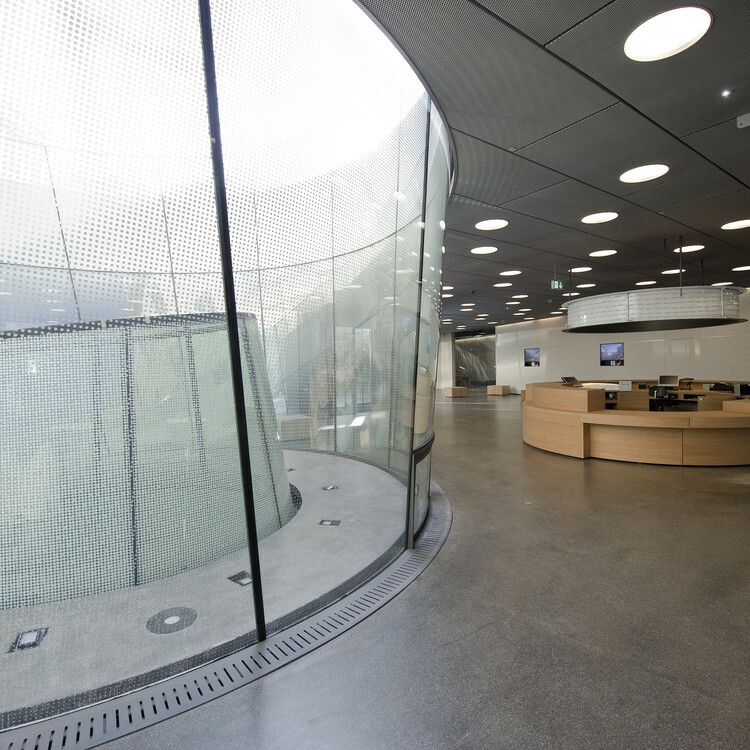 The interior was designed using rosewood veneer in the entrance area. 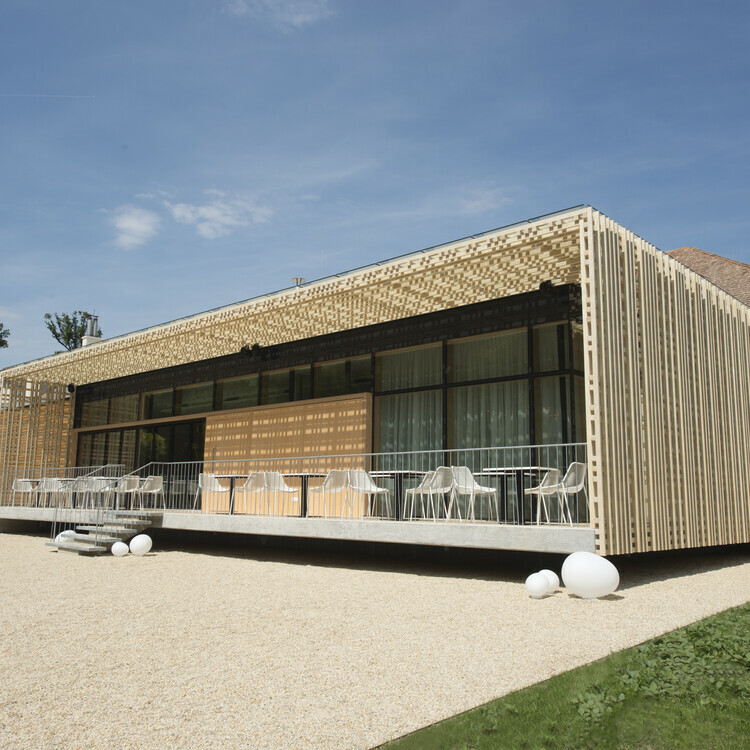 This imaginative project involved the use of over 35m³ Accoya in the shape of tongue and groove panelling and for the substructure. The tongue and groove panels were fastened using more than 15,000 concealed Sihga wood construction screws inside the groove. 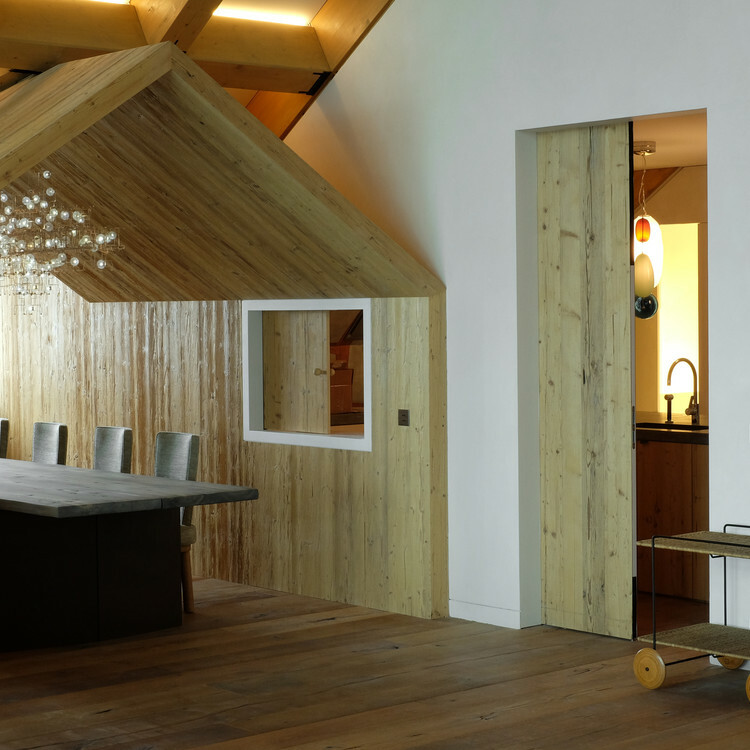 In order to protect the wood's structural integrity over time, the panelling was fitted with Sihga KompeFix placed between the panels and substructure. 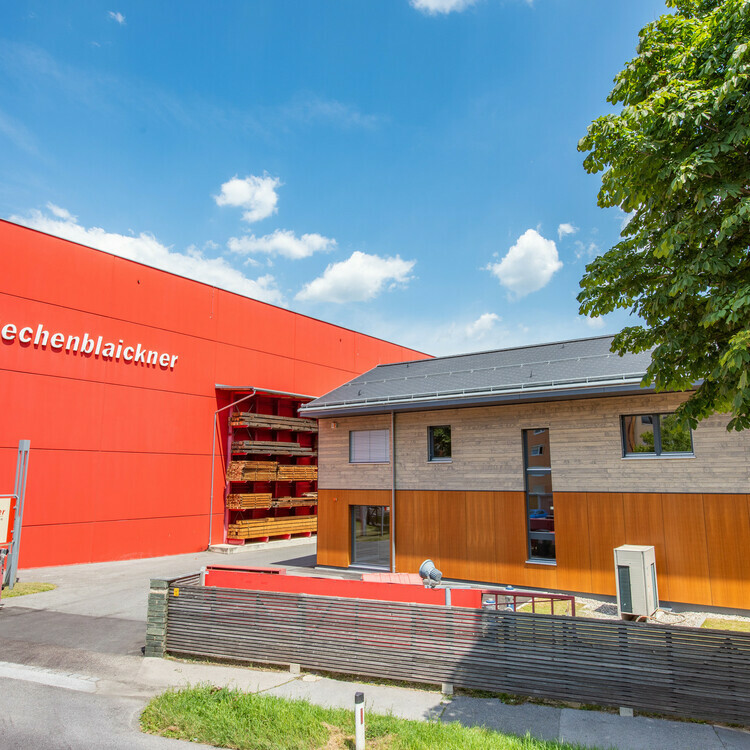 This is the kind of project that really brings out the characteristic features Accoya: External walls subject to direct whether exposure, clad with jointless tongue and groove panelling that give them dimensional stability and a high level of strength. 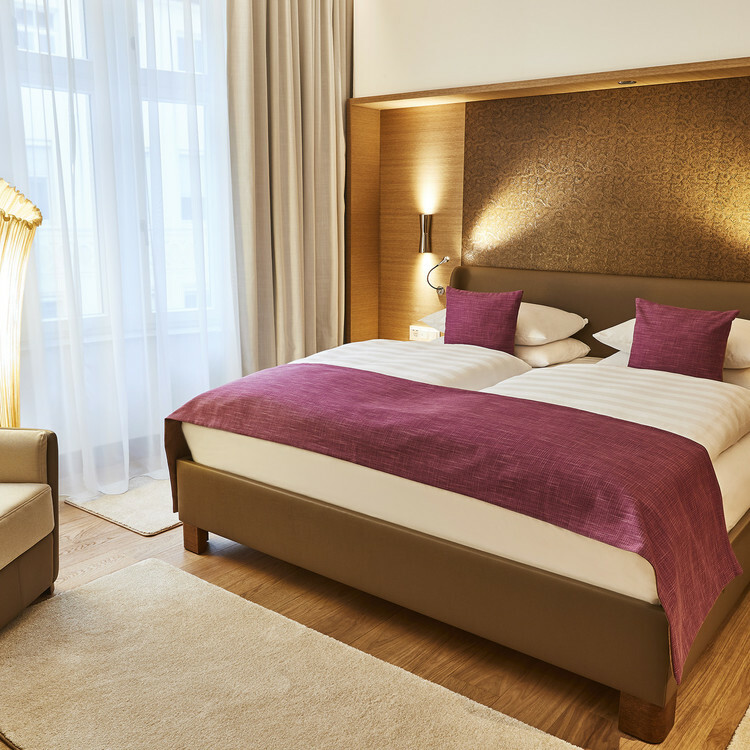 Around 10.000 m² of oak veneer was used to furnish the interiors of the Grand Deluxe Rooms in the Hotel Vier Jahreszeiten Kempinski in Munich. 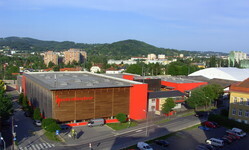 The premium product was selected for the furniture and the doors. It produced a stylish and timeless interior design that certainly catches the eye. 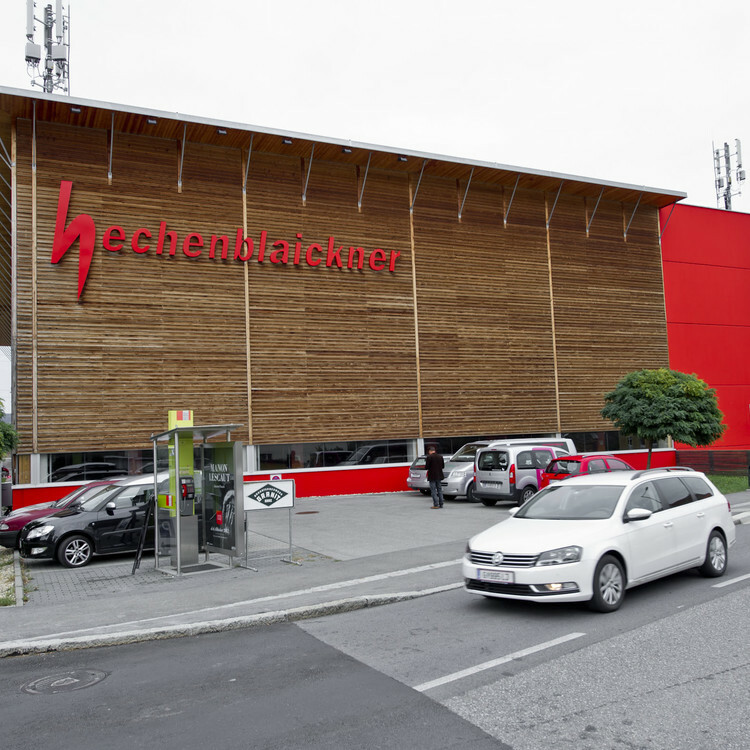 We supplied over 400m² of wild oak veneer for the 60-metre high building for Urban and Green Technology Research. 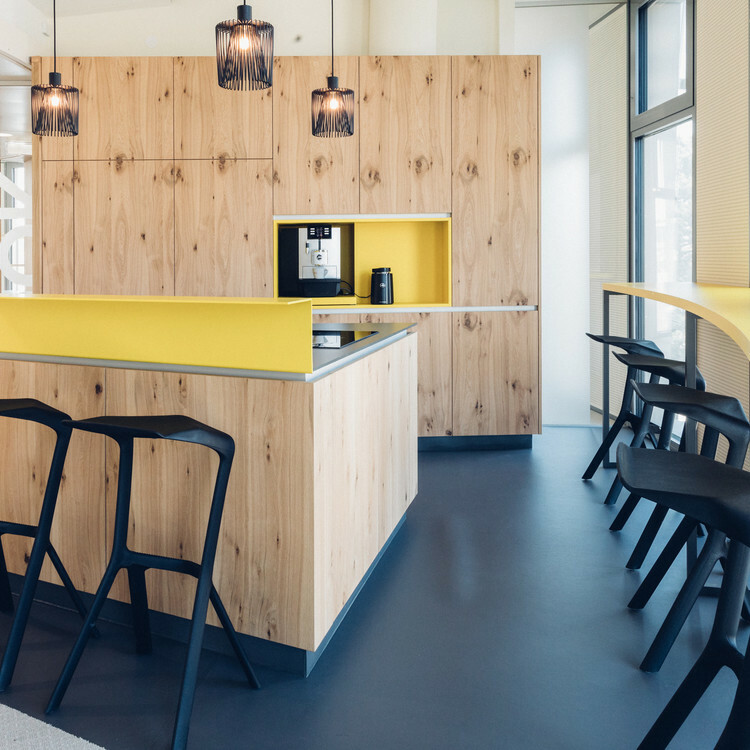 This veneer was used for some of the offices, as wall panelling and for the front panels of a community kitchen. 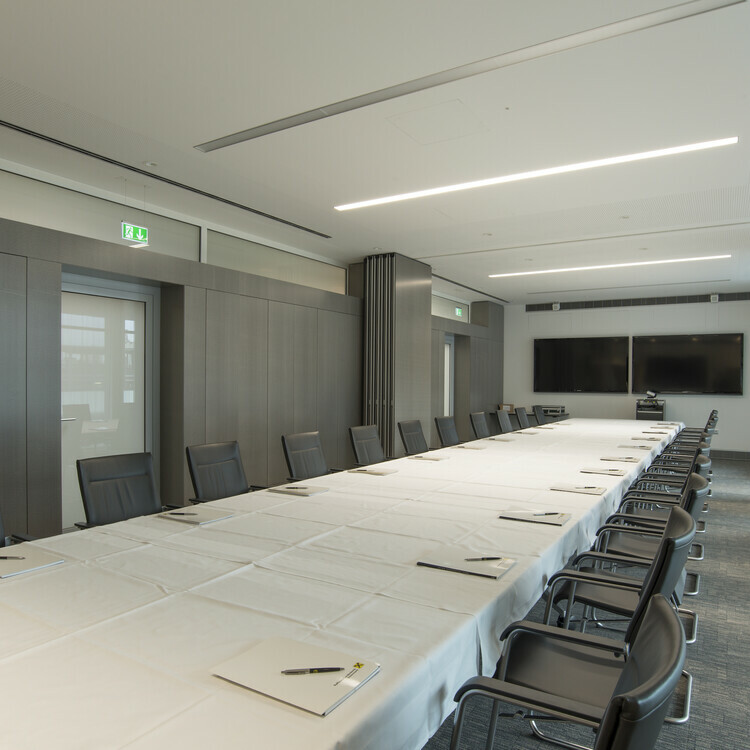 With respect to the wall panelling, it was important to create a coherent appearance throughout the round room, which has certainly been successfully accomplished. Around 100 m3 of Accoya timber was needed for the exterior facade and inside benches at the grammar school. The outside doors were also panelled with 3-layered Accoya. 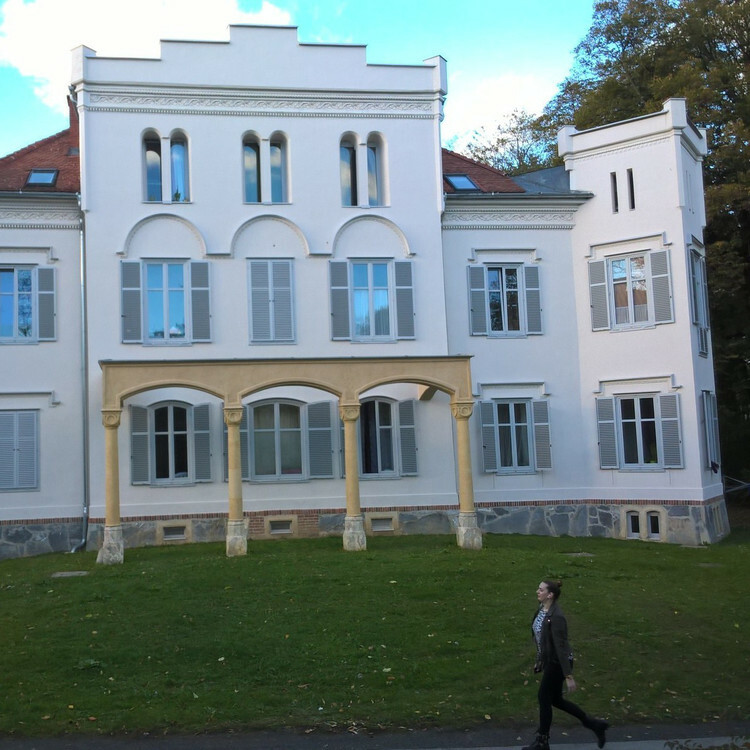 88 rustic beams were reconstructed based on original plans for the renovation of this magnificent listed villa. 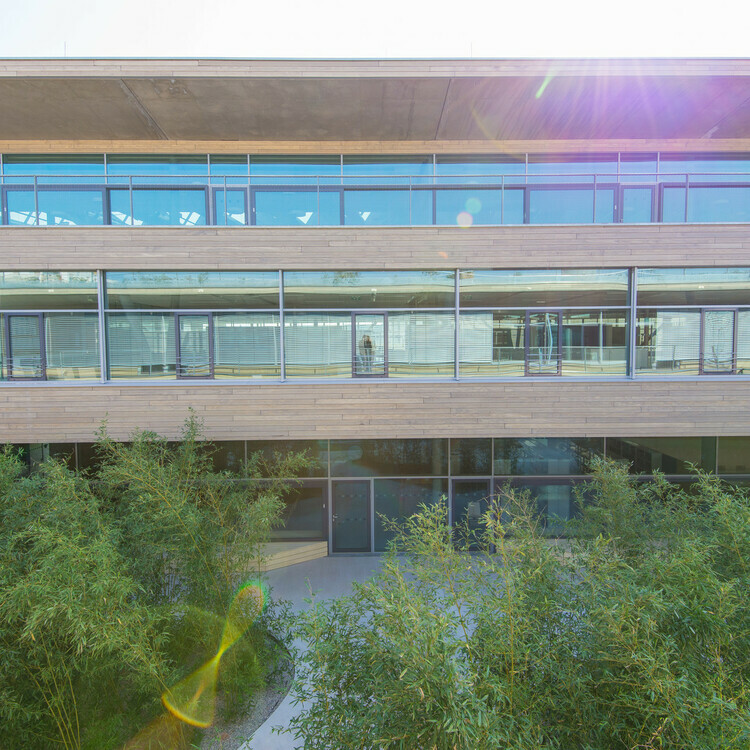 The conversion of our office building in Gratwein involved the use of saw cut oak veneer and Austrian walnut. Our reference projects also feature on nextproducts – the platform for architects and planners. 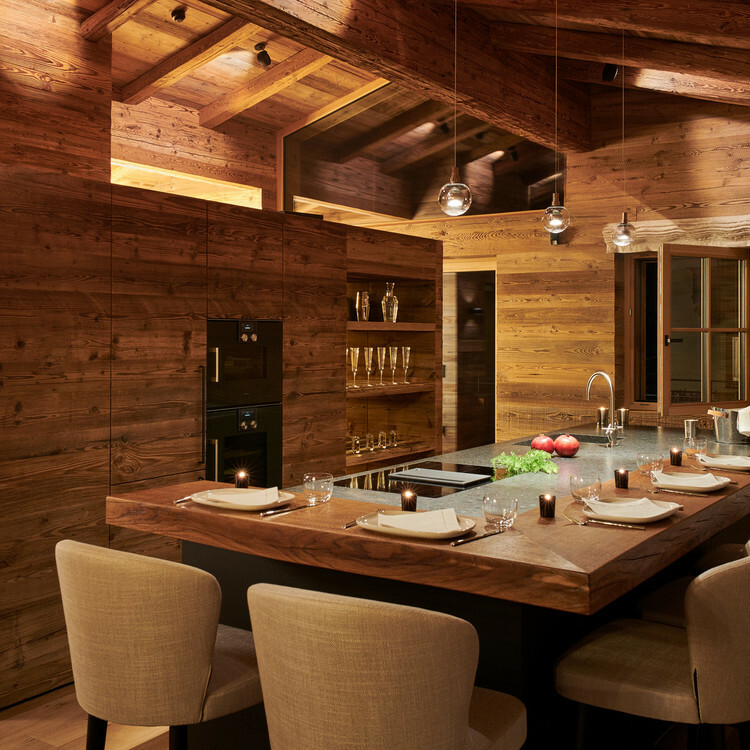 500m² of 3-layer old spruce panels were used for the extravagant, chalet-style design of a private penthouse in the Swiss Alps. 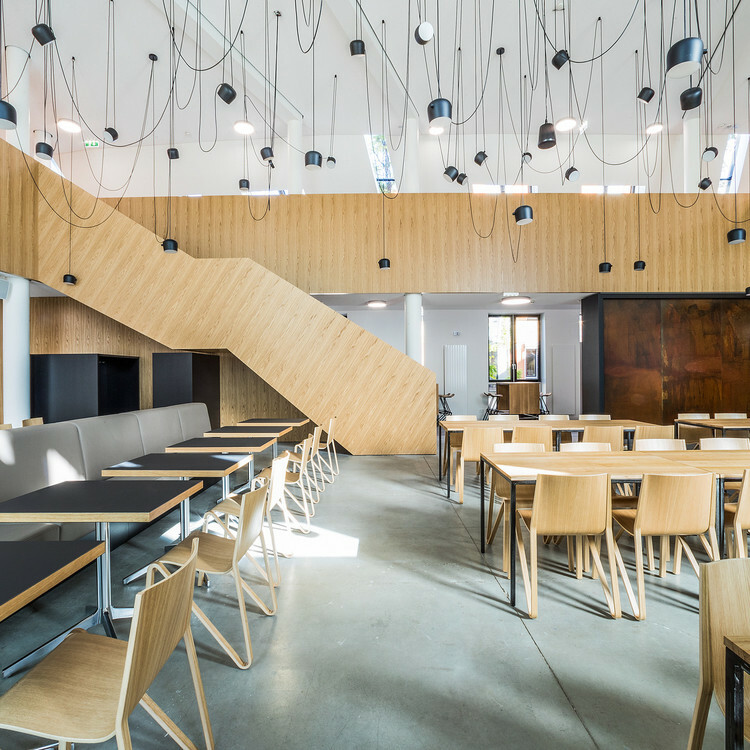 1,500 m2 of oak veneer assembled in unbeatable quality and 150 m2 of indigenous walnut, olive-stone ash and elm veneer were used to redesign the cafeteria at TU Graz. 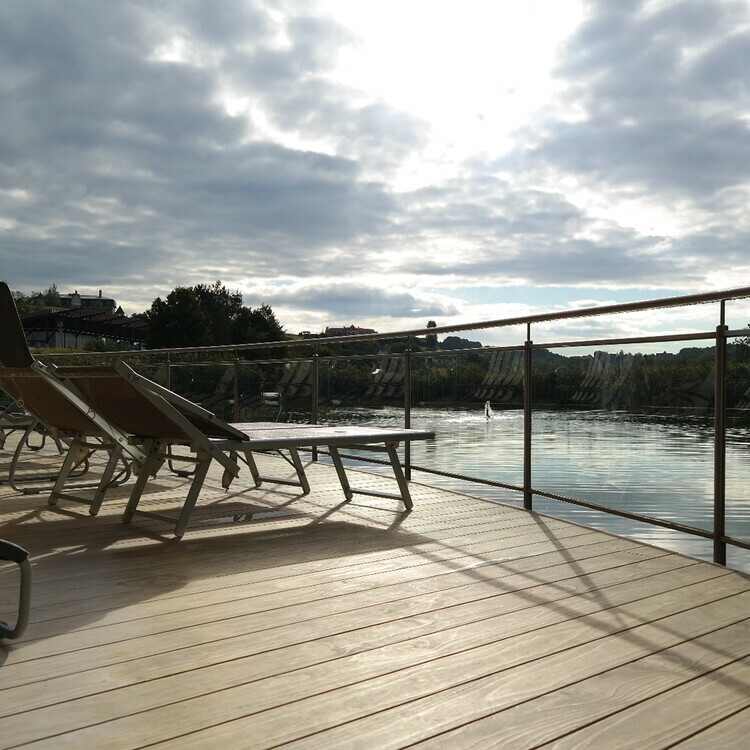 Roughly 12m³ of Accoya was used to produce more than 3,000 balcony slats, creating a durable and tidy look.